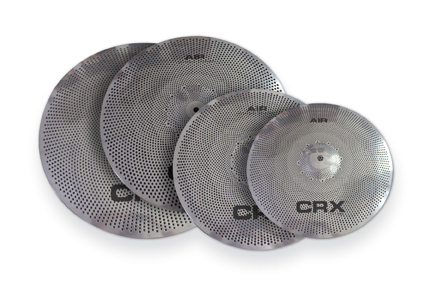 New CRX AIR Cymbals Are Easy On The Ears— And The Budget. The new AIR Series low-volume cymbals from CRX offer all the advantages of similar cymbals but at a surprisingly affordable price point. The high-quality, low-volume cymbals are available in a wide selection of sizes and a choice of two, full-size box sets. CRX AIR are recommended for studios, schools and practice rooms. next post: NDK™ Series Adds A New Option To DRK™ Series.